On behalf of the National Executive Council of our party, I bring you warm and fraternal greetings. Sisters and Brothers, the holding of this Convention at this particular time and in the parish of St. Andrew brings back fond memories of the Conventions held in this parish between 2002 and 2008, following our electoral defeat in 1999. During those years, we registered our return to the national political stage and sounded our commitment to rescue this country from those who held it under political and economic siege. During that period, we pledged to constantly and consistently expose the misdeeds of the New National Party administration and to disclose to the nation our alternative vision and plans to build a better life for our people. Today, as we look back, we do so with a sense of pride and satisfaction, that we were able to uproot that callous, corrupt and dictatorial regime. In the elections of 2008, we gained the overwhelming confidence of the Grenadian people and delivered a knock-out punch to the NNP. Brothers and sisters, it is crucial that we acknowledge and point out here today that the defeat of the NNP regime was not only the work of our party. Indeed, it represented the combined and collective effort of thousands of patriotic Grenadians who shared the common conviction that they must act to save Grenada for their children and grandchildren. Unfortunately, our commitment and determination to build Grenada into a dynamic, prosperous and stable democracy, capable of sustaining a high quality of life for all its people was obstructed by the selfish political ambitions of a few individuals. While the people reposed their confidence in us with the expectation that we would responsibly manage the affairs of state and steer the ship out of the turbulent waters, these individuals worked assiduously to undermine the authority of the Prime Minister, trying to form a government within the government and a party within the party, rendering the party and its organs largely dysfunctional. Thanks to the resolve and determination of our members these individuals were unceremoniously expelled from our party and have now found their natural habitat. Understandably, in the wake of this internal crisis, our party could not secure the confidence of the people to manage the country’s affairs for another term and we suffered defeat at the polls. Sisters and Brothers, every negative situation, no matter how adverse, contains the possibility for something positive. We are proud to say that while we lost the election, we were able to protect our two most critical assets — the NDC BRAND and our POLITICAL BASE. With these two critical assets intact, we were able to begin the process of regrouping and rebuilding our party, confident in the view that we will once again forge ourselves into a strong united force capable of providing visionary, mature and responsible leadership that our country and people deserve. Today, we enjoy a singleness of purpose and a common approach to the task at hand. We have reconstituted and restored our working committees which are working diligently to advance our goals. We are rebuilding our polling division groups in every constituency. We are working at the grassroots level to strengthen the bond between our party and the people, visiting their homes and places of congregation. These efforts are aimed at getting a better understanding of the circumstances in which our people find themselves and determining what assistance can be provided. Today, 24 months after the electoral defeat, we can confidently state that we have a strong united party; a team of committed and capable leaders with proven track records in their chosen fields of enterprise and endeavour. commenced the process of strengthening our relationship with stakeholder groups by engaging in meaningful and ongoing dialogue with several of them including the Chamber of Industry and Commerce, the Grenada Conference of Churches, the Inter Agency Group of Development Organizations, the Grenada Union of Teachers, the Public Workers Union, Commercial and Industrial Workers Union, the Grenada Farmers Organization and the Grenada Nurses Association. Through our collective efforts, we undertook a public education campaign around the demonic austerity Program embarked upon by the ruling administration and explained to the people the possible short, medium and long-term implications of such a program. When the Mitchell led government sought to strip the citizens of their constitutional rights and freedoms, we stood up and spoke loudly against the appointment of a professional engineer as the Attorney General of Grenada. We stood up and spoke loudly against the summary dismissal of the Supervisor of Elections, Judy Benoit, for resisting the decision of the Cabinet of Ministers to install internet services in the Parliamentary Elections Offices around the country (and effectively create an electronic link between these offices and the Prime Minister’s Office). We stood up and spoke loudly against the failure or refusal of the Governor General ( and I dare say Prime Minister) to appoint a Supervisor of Elections after they had rendered the office vacant. We stood up and spoke loudly against the introduction of the Electronic Crimes Act, some provisions of which were designed to stifle the freedom of expression, opinion, belief and conscience of the people. When the Government sought to force its repugnant constitutional recipe down the throats of the Grenadian people we stood up and said NO WAY and to this day we are continuing to fight for what is constitutionally right and proper. Today, we recognize and applaud the commitment and support of our people. Without you we would not have been able to make these modest gains. We are especially fortified by the steadfastness and resolve of the members of the NDC family who have made great sacrifices over the past two years to restore the strength and integrity of our party. Today, we thank you for your efforts and contributions. Sisters and Brothers, as we stand here today, we stand at an important crossroad in the history of our country. Our individual and collective stances will determine whether our country continues to slide down this dangerous slope of economic ruin, failed dreams, increased hopelessness and legal and constitutional bullying; or whether we arrest the decline and place our country on the path of economic, social and moral recovery. For at this time, both our economic livelihoods and our constitutional democracy are under serious threats from within and only the collective weight of resistance by the people will safeguard them. Sisters and Brothers, our country faces a crisis of confidence in those who run our affairs. The genesis of this crisis is to be found in this government’s record of deceit; its gross incompetence in the management of our economic affairs; and the stark inability to find or create any program or project capable of creating jobs for the tens of thousands of unemployed persons, especially our young people. The genesis of this crisis is to be found in the high-handed arrogance with which they have violated and disrespected the Constitution and laws of Grenada; the culture of nepotism and corruption that they have cultivated; the consistent refusal to practice accountability and transparency in government, hiding critical information from the citizens; and the pursuit of a culture of victimization and petty political spite against its political and journalistic opponents. Sisters and Brothers, to recite all of the numerous manifestations of this crude, vulgar and unwarranted approach to governance at this moment would take up precious time and serve no useful purpose. At the same time, we cannot help but address some of the events of the past two years. For, over the past 14 months in particular, this government has displayed a callous and criminal neglect of the needs, circumstances, wishes and aspirations of the people while engaging in a wanton abuse of political authority. Every policy expression, every project, every program undertaken by this administration appear to find its justification in the desperate and narrow objective of this moribund group to retain political power at all cost, in spite of, and at the expense of the people. Since taking office, they have increased the Parliamentary Representative Constituency Allowance from $1,500.00 per month to $11,100.00 per month so that the existing NNP MPs can advance their selfish political ends. This they have done while telling the public of a desperate shortage of funds and calling on the people to make sacrifices in the interest of nation building. This initiative is operated in tandem with a massive spending spree, not for, but in the name of the youth, while trying to steal their innocent hearts and minds with empty promises of technological handouts and entertainment. Sisters and Brothers, no one can deny that the young people need financial support. As such a monthly financial allowance can be condemned by no reasonable person. At the same time, the NNP Government must overcome its state of denial and find the courage to admit that this allowance is simply not enough. Our young people need more and deserve better. The truth is that our youth are drowning in a pool of unemployment, criminal delinquency, over-exposure to sexual activity and a sense of hopelessness. At this moment, there are over 18,000 young people who are not benefitting from the monthly allowance given the IMANI program. Many of these young people, both male and female, live in despair, are paralysed by a feeling of hopelessness and are driven to illegal and immoral conduct. But even for those within, the IMANI program does not provide our young people with much-needed sustainable jobs ; education and training opportunities and facilities; career counselling , entrepreneurial guidance and support; counselling, life skills and social skills- which, they badly need. At a time when government continues to claim that the country is cash strapped, ministers of government, led by the Prime Minister, continue their globe-trotting from continent to continent and country to country, with their surrogates in tow, attending flimsy and frivolous activities that bring no tangible, material or other benefits to our country. Sisters and Brothers, these joy rides result in a massive and inexcusable waste of the scarce financial resources that could otherwise be used to assist the poor and disadvantaged with housing, food, school supplies, basic medicines and transportation. Meanwhile, many critical aspects of the business of state remain unattended and the burning issues and needs facing our people remain unaddressed. As of today, over 40 businesses, including supermarkets, banks and hardware suppliers have closed their door sending hundreds of people on the breadline. In spite of this, the Government has done little or nothing to improve the business climate and Grenada’s international doing business ranking continue to plummet. After two years in office the Mitchell led administration has done absolutely nothing to seriously engage the Government of the Bolivarian Republic of Venezuela with a view to reaching agreement on the delimitation of our maritime boundaries with that country. A visionary leader would see the wisdom of doing so and seek to cooperate with the Bolivarian Republic in the matter of Oil and Gas exploration. For the past two years, the cooperation agreement concluded between Grenada and the Republic of Trinidad and Tobago for the joint development of non-living marine resources has been gathering dust in the office of the Prime Minister. In the presentation of the 2013 Budget in April 2013, the Minister of Finance told the nation that his government was moving swiftly to implement existing cooperation agreements with private investors. No doubt he was referring to the Oil and Gas agreement entered into with the Russian Global Petroleum Group. Almost two years later not a sound is heard. Our most sacred institutions are under attack from those charged with guarding and preserving them. The offices of the Supervisor of Elections, the Attorney General, the Cabinet Secretary, the Commissioner of Police and the Commissioner of Prisons have all been targets of this assault. Rather than embarking upon a genuine and democratic process to reform the Grenada Constitution so as to ensure that the Reforms undertaken will be meaningful and will result in a real and meaningful improvement in the operation of our democratic system, government leaders seem more preoccupied with achieving an individual legacy from the exercise. In August of 2014, we delivered a national address in which we voiced our concerns about certain deficiencies in the process and some fundamental omissions in the recommendations for reform that the Committee had presented to the Cabinet for consideration. We also published a position statement which was submitted to the Advisory Committee. Sisters and Brothers, It is important to emphasize that these six (6) items endorsed by the NDC for inclusion on the referendum ballot were not the creation of the NDC and did not belong to the NDC. Rather, they represented recommendations put forward by the previous Constitution Reform Commissions and Bodies (that were appointed by previous governments) after extensive consultations with the people of Grenada. We find it necessary to reiterate this point given the wilful and deliberate attempt by some persons to present these recommendations as “NDC Demands” and to convey the impression that there is some kind of “three-way negotiation” taking place between the Cabinet, the Constitution Reform Advisory Committee and the NDC. We wish to make it abundantly clear that we have not, and will not engage in any secret negotiations behind the backs of the Grenadian people on the matter of their fundamental rights and freedoms. It should also be noted that during the trade centre Consultation, a strong and vigorous call was made by several participants for the inclusion, in any referendum on the reform of the Grenada Constitution, of a provision that the citizens be entitled to recall their parliamentary representative in circumstances where he or she engages in conduct that is unbecoming of a parliamentary representative. We support that call of the people. Sisters and Brothers, while trying to give the impression that they were being magnanimous, the Government substantially circumvented all but one of the previous recommendations put forward by the previous Constitution Reform Commissions and Bodies after extensive and repeated consultations with the people of Grenada. 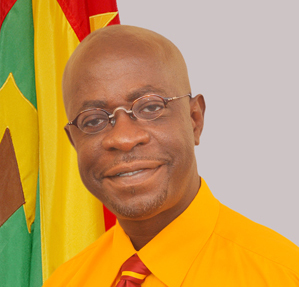 As a result, it is doubtful as to whether, at the end of the reform process, the people of Grenada will be satisfied that their politicians are more accountable to the citizens and will no longer be at liberty to engage in reckless, irresponsible and high-handed behaviour to the detriment of the citizens and the image and reputation of the country. These acts of recklessness, arrogance and selfishness by government leaders are taking their toll on the Grenadian psyche. Grenadian public servants, including teachers, doctors and nurses are being driven to frustration, despair and professional indifference by the lack of leadership, lack of vision and arrogance of the powers that be and their several political cronies padding the ministries. There is a breakdown in the social values in our society with an increase in alcohol consumption, gambling, violent crimes and the incidence of family breakdown and dysfunction. Many of the weakest and most vulnerable among us, including the elderly, children and the physically and mentally challenged are being forgotten and ignored by those who run our country. But this policy of callous disregard has perhaps found its worst expression in the manner in which this government has treated with the living standards of the Grenadian people. In the last 14 months the government has imposed no less than 24 different taxes, levies, fees, duties and charges on the backs of Grenadians. These have had the effect of reducing the disposable incomes of Grenadians by more than 18 percent. In addition, important social safety nets, such as the duty-free barrels program have been removed and the prices of some basic items raised. While paying lip service to “national unity” this government has done all in its power to divide our people and to persecute its perceived political and journalistic opponents. At the same time, all attempts by ordinary Grenadians to question or challenge the wisdom of these policies, programs and projects and to demand a say in the running of our affairs are met with accusations of unpatriotic behaviour and obsession with political power. To maintain its political hegemony, this desperate group has fabricated a sinister cloak code-named “Project Grenada”. Despite the very public and widespread call to define Project Grenada, no member of the group is prepared to come forward and outline its tenets. The Leader of the pack is only prepared to tell us the Project Grenada means ONE FOR ALL AND ALL FOR ONE. We know who the ALL are — we the Grenadian people. What we do not know is who is the ONE. Having listened carefully to and closely observed the architects we have been able to unmask the 10 point plan for project Grenada and must take the time to share them with you today. Grenada is to remain under the rule of the NNP and to ultimately become a one party state. The NNP and its allies must continue to discredit the leadership of the NDC party so as to minimize any opposition to the efforts to create the one party state. State control of the radio, television and print media including control of the leadership of the umbrella body to which media practitioners subscribe (MWAG). Control of independent state institutions established under the Constitution for example the Public Service Commission and the Electoral Office through the appointment of known NNP loyalists to head and even party members to be members of these bodies. Political influence and manipulation of the day-to-day management of institutions responsible for criminal and financial law enforcement – the Royal Grenada Police Force and the Financial Intelligence Unit. This control is achieved mainly by the appointment of known NNP loyalists and politically exposed persons to head these institutions. Strictly ensuring that all economic benefits of the State are distributed first to NNP party loyalists and whatever if any remains will go to the rest. The strategic alliance between the NNP and persons who in the past were always at the forefront criticizing the actions of the party for example, Chester Humphrey, Peter David, Karl Hood and Joe Gilbert. No effort will be spared to ensure that as many youths as possible are at least given a monthly stipend with the clear objective that they will be kept quite and away from the influence of any anti-Government movement. The continuation of the long-established NNP culture of dependence on politicians by the more vulnerable persons in society for their survival. Strategic NNP influence in the leadership of the churches, business community and the trade unions so as to ensure little or no obstruction or opposition to the work of “Project Grenada”. Sisters and Brothers, this recipe of the New National Party is dangerous and threatens our democracy from within. If Grenada is to move forward, every patriot has to be recognized and accommodated and our people must be made to feel that they have a stake and we are all in this together. This will only be achieved by building national consensus, developing clearly defined national objectives; creating unity of purpose and engendering a climate of mutual trust. This will only be achieved under mature, strong, courageous, visionary and selfless political stewardship. Sisters and Brothers, as an alternative government in waiting, we need to address these issues which are affecting our people in a bold and confident way. Governance means more than the assumption and exercise of power. We must encourage national dialogue and debate on the critical issues facing our country. Our party must assume a leadership role in the national debate on how to diagnose our problems and come up with realistic and common sense solutions to them. This is why, Sisters and Brothers, we have been actively engaging the people over the past two years. Sisters and Brothers, in the past twenty years Grenada has been governed by two political parties — the NNP for 15 1⁄2 and the NDC for 4 1⁄2 years. There can be no doubt that as a nation, the Grenadian people feel less than satisfied with what they have experienced over the past 20 years. At this moment in time the people are crying out for something better. They want a “New Vision” under new leadership. Sisters and Brothers, when we speak of a new vision, what are we talking about? Vision is the key to unlocking the gates of what was and what is, to propel us into the land of what could be, and has not yet been. Vision sets you free from the limitations of what the eyes can see and allows you to enter into the liberty of what the heart can feel. Sisters and brothers, since assuming the leadership of the party one year ago, I have spoken to many people around Grenada, Carriacou and Petite Martinique. They are deeply concerned about what is happening to our country. My colleagues and I in the National Democratic Congress are also deeply concerned about what is happening to our country and believe that something should be done about it. Furthermore, we are convinced that it is in the political arena that problems of this nature can best be solved. Of course, we like many others recognize that it is not popular to be a politician. It is easier to walk away from the situation than to become or remain a politician. We could all turn our backs on public life and seek distractions elsewhere. But we have chosen not to do so, because we recognize our destiny and our purpose, and accept this challenge because we have a great love and passion for our country and its people. Vision generates hope in the midst of despair and provides endurance in tribulation. It was in the depths of despair and concern for our people, that a new vision for Grenada began to reveal itself. THIS VISION IS FUELED BY THE UNSHAKABLE BELIEF THAT A BETTER GRENADA IS POSSIBLE. In this vision, I can see Grenada, Carriacou and Petit Martinique being transformed into a dynamic, prosperous and stable democracy, capable of sustaining a high quality of life for all its people. I can see a Grenada in which everyone has an equal opportunity to realize their potential and enjoy the fruits of their labour without fear. I can see a Grenada in which poverty and ignorance have been abolished and Grenadians are taking their rightful place among the community of nations. I can see a Grenada that sets and achieves the highest standards in all areas of human endeavour. I can see a Grenada that is a model for small island developing states. Sisters and Brothers, the more I discuss it with members of the Party, the more I raise it with ordinary Grenadians of all walks of life and of all political persuasions, the more it seems feasible. But, my friends, a vision without a plan is a mere dream. We need to go beyond the dream, draw up a plan and take action. The National Democratic Congress has a Plan to take Grenada forward towards this vision. To bring back a sense of pride in being a Grenadian, fostering unity and oneness among us all, and commanding respect for our country here and abroad. To invite and encourage all Grenadians, including all Grenadians in the Diaspora, to be a part of the national decision-making process. To be open, honest, fair, just and honorable in the conduct and exercise of public office. To reform the Constitution of Grenada so as to bring it in line with the practice of modern democracies. To undertake such reform with the direct consultation of, and participation by, the people of Grenada, Carriacou and Petite Martinique ,thereby making a national Constitution which has the tangible input of the people and builds a strong bond between the people and the Constitution. To strengthen, build and respect our state institutions, to ensure all persons are treated equally and fairly . To provide a stable, peaceful, crime free and friendly Grenadian society. To pursue the balanced development of the country by showing regard for the development needs of our rural parishes and communities. In the case of Carriacou and Petite Martinique, to introduce local government so that the people can have a greater say in their own affairs. To place agriculture, agro-development and fisheries at the forefront of the national economy. To modernize and restore integrity to this sector, so that it can once again become a primary source of employment and income in Grenada, while improving our food and nutrition security as a nation. To develop the tourism product on a country-wide basis while preserving our unique culture, heritage and natural treasures for our enjoyment and that of our visitors. To speed up the economic and social transformation of our country through technological change, without encroaching on the rights and privileges of our people. To pursue the use, application and development of ICT , not merely as a means to an end but as an economic sector in its own right. To pursue the fullest development of Grenada energy resources – both in hydrocarbon potential ( oil and gas) and renewable energy (solar, wind, geothermal, tidal and other renewable sources). To substantially reduce the cost of energy to the population and to achieve energy security for our nation. To develop a variety of goods and services (knowledge based industries — including education, health and wellness services and cultural industries) to be sold on the world market, using our local resources to the fullest. To diligently work towards comprehensive, quality and affordable health care for every Grenadian through the development of a modern tertiary care Hospital facility, improved secondary health facilities in every parish and a carefully managed Health Insurance Scheme. To develop and implement a comprehensive Primary Health Care Program so as to reduce the incidence and impact of lifestyle related diseases and improve the general health and wellbeing of all Grenadians and other persons living, working or visiting Grenada. To provide opportunities and facilities for education, training, skills upgrading and re-education for all persons, especially our youth. To create opportunities and facilities for the pursuit of research and development that would feed into the socio-economic development needs of Grenada. One of our most important goals is to provide for our youth – education, training, apprenticeship programs, employment, opportunities to develop their entrepreneurial potential, opportunities and facilities to fully realize their potential in sports and the performing arts, live skills training, counseling and coping skills so as to reduce their early involvement in crime and, most importantly, involvement in national decision-making and the implementation of public policy. To ensure personal, social and income security and remove the conditions which create inequality and crime in our communities. To put in place a proper management plan for the use of our land preserving our parks, forests, beaches (ensuring they are available to every Grenadian), marine resources and protected sites, providing a clean and healthy environment for our citizens. To assist all Grenadians with securing a home to reside safely and peacefully, with reasonable access and basic facilities of water, electricity, and sanitation. To provide the facilities and opportunities and facilities; the environment and necessary support, for our athletes to achieve their best potential. To position Grenada as a regional HUB for Sports. To rediscover and rebuild our cultural and traditional values, our art forms and our talents, and provide avenues for the release of our creative energies. To develop the cultural industries as an economic sector in its own right and to protect the intellectual property of Grenadian cultural artistes and performers. To upgrade our National Security and become prepared to manage any natural disaster. To strengthen the Police and Immigration Forces and Fire Service, ensuring that these institutions serve the best interest of our people in a positive way. To actively pursue the regional integration of the CARICOM countries and to play a leading role in strengthening the CARICOM integration movement. To comply with all regional and international treaties to which Grenada is a signatory. To deepen and strengthen our diplomatic, economic and cultural ties with our traditional allies and to establish closer diplomatic, economic and cultural with non-traditional partners, especially among the BRIC nations, the middle eastern countries and other emerging economies. Food industry, agro-procesing, confectionary etc. Obviously, it will encompass the oil and gas industry, as well as high-value agriculture. Sisters and Brothers, it is absolutely important for us to understand and appreciate that our quest for socio-economic progress and sustained prosperity will come to nought if we allow ourselves to be enslaved by a mindset of dependency. If we are to succeed, we must unconditionally embrace the philosophy of self- reliance. By self-reliance, Ladies and Gentlemen, I mean the capacity and determination to seek and extract from within our own circumstances and environment, the resources, opportunities and energies that we require to advance as a nation. This capacity and determination, Sisters and Brothers, start with the realization and belief that, ultimately, our success as a people depends, not on how much aid we can get from other countries, but on whether and to what extent we are prepared to take responsibility for our destiny. Self reliance is an imperative for all progressive nations. It assumes even greater significance in times of adversity .We must embrace it with all our might. Let me end by reiterating my strong conviction that a better Grenada is possible. But the NDC cannot do it alone. We need every patriotic and well-meaning Grenadian to join us in this noble endeavour. Together, we can make it happen! The road ahead is long but together we will get there. Sisters and Brothers, the NDC is the most democratic political institution in this country. In this family, every single individual has a right to an opinion. All views must be respected, even if they are not ultimately accepted. The NDC’s motto was very deliberately and consciously chosen and must forever resound in our hearts: Let our people’s voices be heard. We must therefore continue our struggle to build a Grenada in which the voice of every Grenadian will be heard, regardless of the issue, without fear, intimidation or reprisal. As we depart from this Convention today, we must do so with renewed energy, commitment and determination to lead our country following the next general elections. To achieve this objective, we must ensure that our constituency groups and working committees are properly constituted and functioning; that our activists continue to work in a diligent and structured way; and that we actively seek to recruit growing numbers of Grenadians into our ranks. Let us move forward as one unified force to reclaim our country from those who hold it under siege. I thank you and wish you God’s richest blessings.